Venice Regional Bayfront Health today. As architecture goes, the blocky, four-story edifice just off U.S. 41 on Venice Island was never much to look at. But for more than 65 years, it inspired as much pride as did the city’s only high school, just a few blocks away, or the historic downtown filled with family-owned businesses. 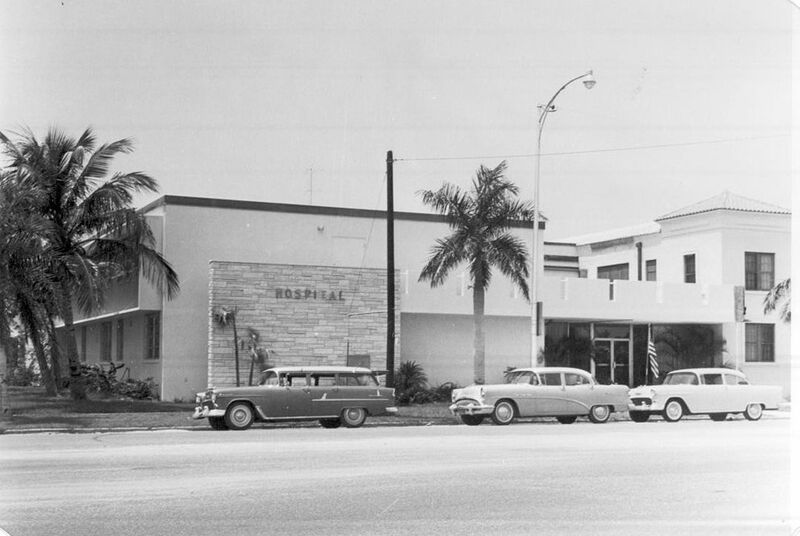 Founded in 1951 by four local doctors, Venice Hospital became a symbol of this small city’s autonomy in the shadow of its northern municipal sister, Sarasota. Then came the summer of 2015 and a cascade of news stories that crumbled the public’s faith in what had been a revered institution. Rats in the hospital kitchen; raw sewage dripping down walls in patient rooms. A joint state-federal investigation of the sewage spill and inadequate attempts to clean it up threatened to block the hospital from receiving Medicare payments, the source of more than 70 percent of its revenue. Doctors, including the head of the hospital’s highly regarded heart center, departed. Physicians who stayed held emergency meetings, demanding and receiving the ouster of the hospital’s chief executive. And, then, the final indignity: City leaders called for Sarasota Memorial Hospital to build a hospital in Venice. “There was a time when I would have fought it tooth and nail, right up until the time of the sewage spill,” says Mayor John Holic. Still, it’s too soon to say whether the city will be getting a second hospital. Sarasota Memorial has now found itself in competition with North Port for a state license. And Venice Regional is likely to challenge any new hospital in South County. While the legal issues play out, the question is: Can Venice Regional rebuild its place in the community? It’s hard to overstate the community’s deep connection to the formerly named Venice Hospital. Until 1951, Venice residents had to drive a treacherous, one-lane road to Sarasota Memorial for acute medical care. The distance sometimes meant the difference between life and death. Venice Hospital in the early 1950s. The hospital’s footprint expanded over the decades as mayors and prominent residents served on its boards and its new employees became part of the community’s fabric. It added a range of specialties and grew to 312 hospital beds. And it built what was recognized as one of the best cardiac care centers in the country and became the city’s largest employer. Venice’s identity and job base were inextricably bound to the hospital. For decades, the hospital bed race was one of the highlights of the annual Sun Fiesta—traditionally the last celebration before the snowbirds arrive. Over the years, city leaders thwarted attempts by the taxpayer-supported Sarasota Memorial Hospital to buy the hospital or offer medical services in the city. Changes in health care in the 1990s wrought havoc with the Venice hospital’s finances, as they did for other community hospitals across the country. By 1995, the Venice Hospital board of directors felt they had no choice but to sell or they would soon be operating in the red. Hospitals across the country were consolidating as the federal government increased regulations and changed how it reimbursed for Medicare. That meant tighter margins. And with a large elderly population, the majority of Venice’s funding came from Medicare, as it still does. Sarasota Memorial offered to buy it. But the community did not want Sarasota running its health care system—part of north county-south county tensions that go back decades. “The board was pretty darned determined not to be bought by Sarasota,” Vedder says. The hospital board spurned higher offers and instead chose to sell to Bon Secours, started by a Catholic order of nuns. Board members felt Bon Secours had a similar community mission. “There were not many changes under Bon Secours,” from the community’s standpoint, Holic says. And the sale’s silver lining: Venice now had $105 million from the hospital sale to invest in local needs. It put the money into The Venice Endowment and created the Venice Community Foundation (now named Gulf Coast Community Foundation) to decide which south county causes and organizations would get funding from the endowment. 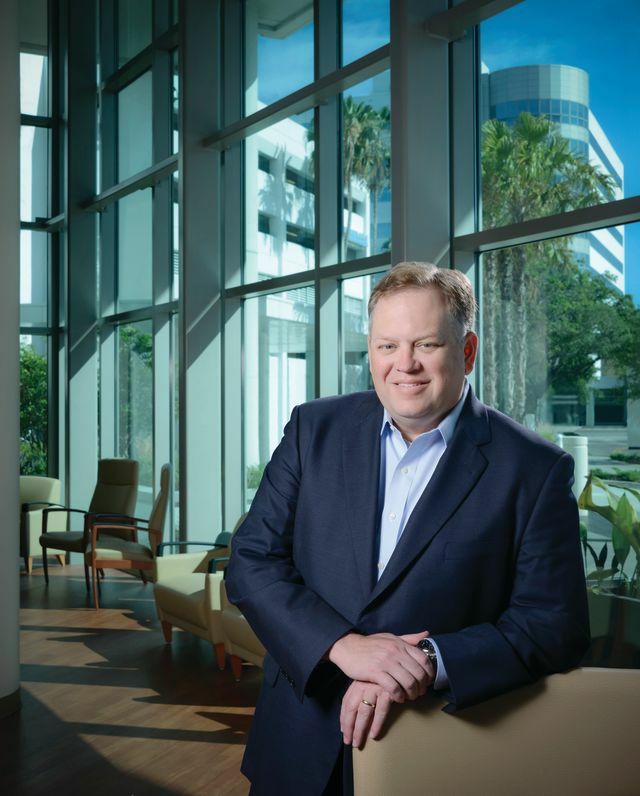 Bon Secours operated Venice Hospital for about a decade, then sold it to Naples-based Health Management Associates, which also had acquired the nearby Charlotte Regional Medical Center in Punta Gorda and Peace River Regional Medical Center in Port Charlotte. Community involvement remained high under HMA. Its CEO mingled in the community, and the hospital remained one of the Venice YMCA’s top contributors, with a big banner on the wall above the fitness center. But the publicly traded hospital chain had problems. The CBS show 60 Minutes and then the federal government investigated the company for pressuring doctors to admit emergency room patients to increase profits. Venice was not part of the investigation, but still, there was a cloud. After the Affordable Care Act became law a few years ago, competitive pressures prompted mergers and acquisitions throughout the health care industry. HMA sold Venice and its other hospitals in 2014 to Tennessee-based Community Health Systems, which now owns more than 200 hospitals in 29 states. Doctors, nurses and other employees grumbled about the cost-cutting measures of Venice Regional’s new owners. Patients complained about emergency room wait times. But to the community at large, not much seemed different. Then in May of last year, a main waste pipe ruptured, sending bacteria-laden water down walls and ceilings. Employees used blankets to mop up the mess and trash cans to catch water streaming through ceilings. The hospital called a clean-up contractor, but according to a state report, did not monitor its work or notify authorities. Patients were not moved or notified. Prompted by a complaint, the state made an unscheduled inspection a month after the rupture. Inspectors found wet floors, sanitary wipes and toilet paper left over from the clean-up. Inspectors also spotted rats in the ceiling and condensation dripping from the air conditioning system into food prep areas. The hospital had another sewage leak in September. The community reaction was swift; city and county officials lambasted the hospital. Former hospital leaders wrote opinion pieces in the local papers expressing outrage. Doctors left for Sarasota Memorial, including the hospital’s top cardiothoracic surgeon, Jonathan Fong, who built the highly regarded Ocala Heart Institute at Venice. Many of the longtime neurosurgeons and orthopedic surgeons are now doing their surgeries at Sarasota Memorial. And city officials for the first time urged Sarasota Memorial to build a hospital in the city. “There was a serious erosion of trust,” says Mayor Holic. In 1925, Sarasota Memorial started out as a handful of beds under a tent. The state Legislature created a taxing district for the hospital in 1949, so it had a reliable source of revenue to provide health care throughout the county. 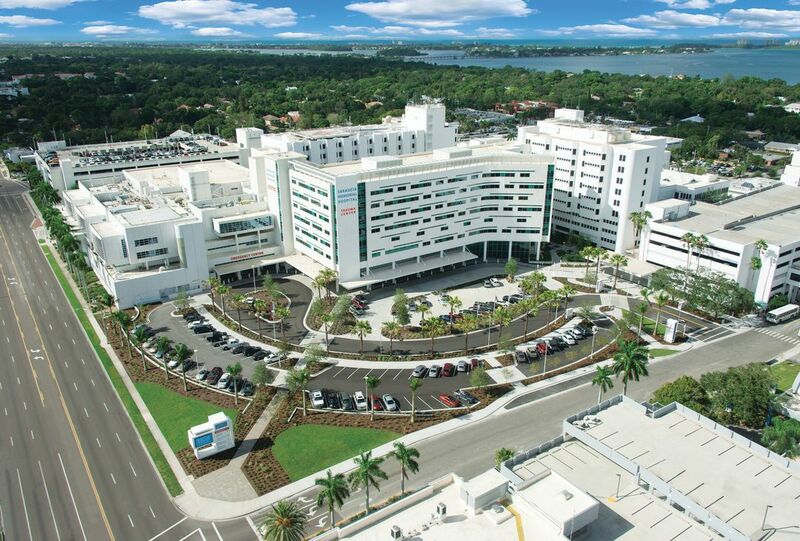 Most of its doctors and services were at the main hospital campus in Sarasota. Sarasota Memorial built walk-in clinics beginning in 2006, expanding with outpatient centers, and in 2009, with heavy lobbying from North Port, it opened the North Port Emergency Room and Health Care Center on Toledo Blade Boulevard, near Charlotte County. Sarasota Memorial now has 10 outpatient and urgent care centers, including in Manatee County. “We are still a county hospital and we feel an obligation to the whole county,” Verinder says. The Sarasota Memorial Hospital campus on U.S. 41. Hospital records show that about 100,000 south county residents visited the main campus of Sarasota Memorial, he says. And since more than half of the county’s residents live south of the Osprey community and the hospital treats the bulk of the indigent and uninsured, more services need to be in south county, he says. After fighting Venice City Hall and Venice Regional in court, Sarasota Memorial opened an urgent care facility on the Venice Bypass in 2013. It’s a bustling medical center, and Verinder says it needs more space to accommodate community need. In 2005, SMH also purchased 65 acres for expansion on Laurel Road and I-75, where about 6,000 new homes are now under development. It had hoped to build a medical complex, but the resistance it faced from Venice made Sarasota Memorial back off those plans and leave the land vacant for nearly a decade. After the recession, Sarasota proposed a medical complex with doctors and diagnostics but no hospital beds. It again faced strong city of Venice opposition and a court fight with Venice Regional. Doctors started a petition drive to keep Sarasota out of the city. That all changed after the sewage spill. After offering to purchase Venice Regional for $85 million and being spurned, Sarasota Memorial took out a full page advertisement in the Sarasota Herald-Tribune in December announcing its plans to build a hospital in Venice. The city thought it was making headway with Sarasota Memorial, which had built a $20 million stand-alone emergency room and medical complex in 2009. City officials thought it was just a matter of time before in-patient beds were added. But then Venice had its sewage crisis, and whatever thoughts Sarasota Memorial had about a North Port hospital seemed to be quickly put on the back burner. David Verinder, president and CEO of Sarasota Memorial. Shortly after the announcement, Moore went to Sarasota and hand-delivered a letter to Verinder outlining the city’s case. “We want to ensure that you have not overlooked the largest and one of the fastest-growing areas in our county,” Moore said in the letter. “Access to residents on the southern end of the county should be comparable to the access afforded to the northern end.” It had little effect. “Venice has the greatest need,” says Verinder. He says the hospital system has a hard time filling appointments at its North Port outpatient center and a hard time getting doctors to move there, too. 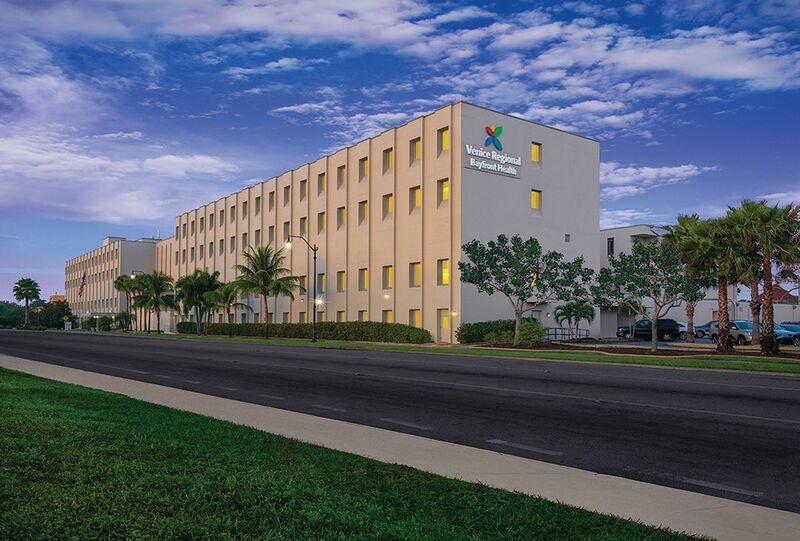 Sarasota Memorial recently applied for a certificate of need with the Agency for Healthcare Administration, essentially a state license to build a hospital in Venice. But North Port decided it was now big enough to try and go it alone. A few days before the application deadline, North Port commissioners voted to also apply for the certificate of need. Venice Regional has not said much about the efforts of North Port and Sarasota to build a hospital. But it could object to both applications. Community Health Systems spent $21 million in technology and infrastructure since buying the Venice hospital two years ago, and pledged $4.3 million since the sewage leak. The state cleared it of all violations in October. 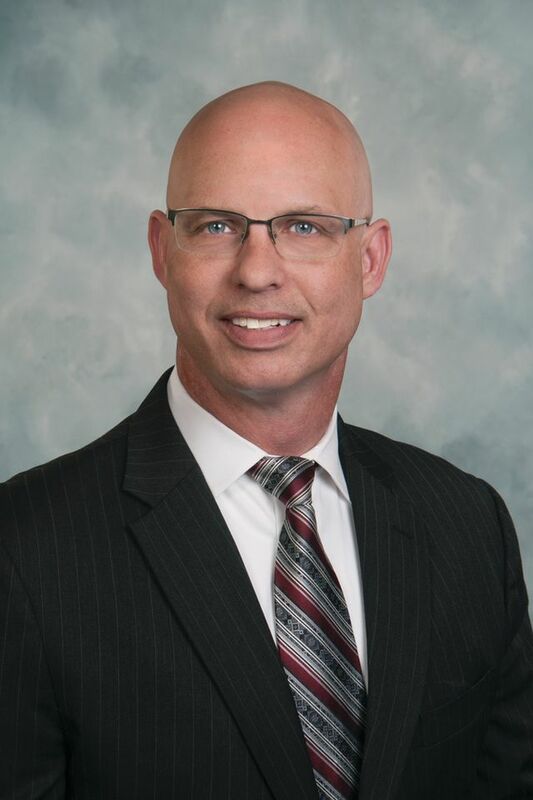 Regional CEO John McLain faces challenges in his new job. Then came a third sewage problem in February, the week before new CEO John McLain started at Venice. A water main leak sent water streaming into the cardiac rehab area and a sewage problem caused water to back up in the showers of patient rooms. The hospital notified the state, but did not let city leaders know. Hite, the hospital spokesman, characterized the incident as a minor plumbing problem. McLain did not return calls for comment on the latest incident or how he plans to manage. He moved here from Southern Regional Health System in Riverdale, Ga., where he improved patient satisfaction and earned recognition on the Georgia Hospital Association Presidential Honor Roll for success in core measures, according to a press release. Venice Regional has added 14 doctors and expanded specialties, such as cardiology, podiatry and neurology. It’s opening a new primary care and walk-in facility later this year on Laurel Road. “We continue to expand our services geographically, and add new locations as the need arises,” says Hite. City leaders say the hospital has a lot of trust-building work to do.